Notes and Nerds: Batman v Superman Dawn of Justice Batmobile reveal! 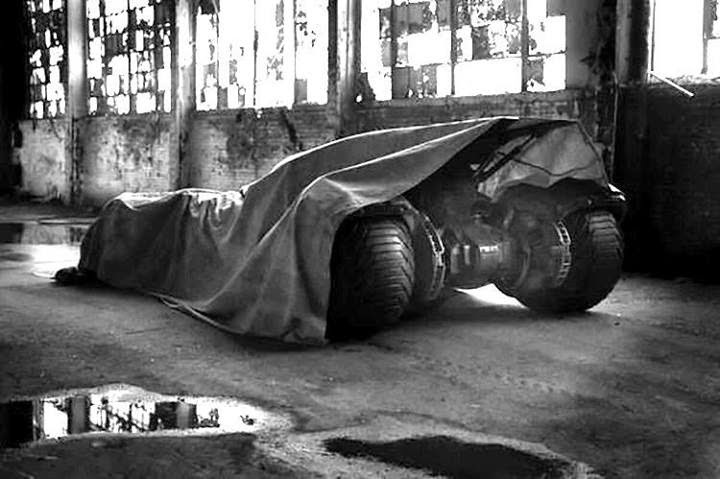 Batman v Superman Dawn of Justice Batmobile reveal! 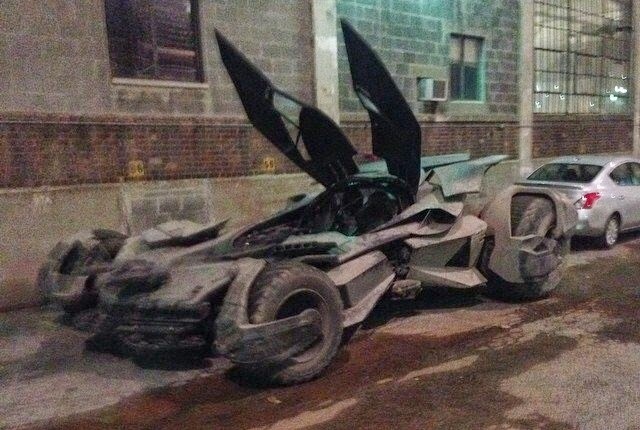 Images are starting to surface around the internet of what the new Batmobile from the new DC Cinematic Universe "Batman v Superman Dawn of Justice" film. We gathered a couple of the best images that we could find while scouring the interwebz, and we are sharing them with you here. Something about the new Batmobile that stands out to me is the overall design. 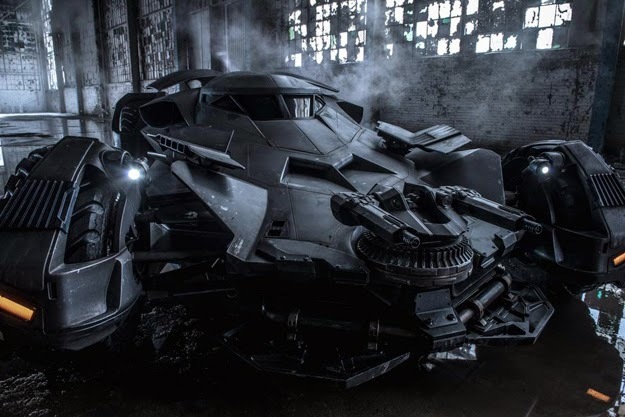 What I am seeing is a bit of a melding of the more "traditional" sportscar style batmobile we have seen from the Tim Burton Corvette style from the first two, and the Christopher Nolan "Tumbler" design. 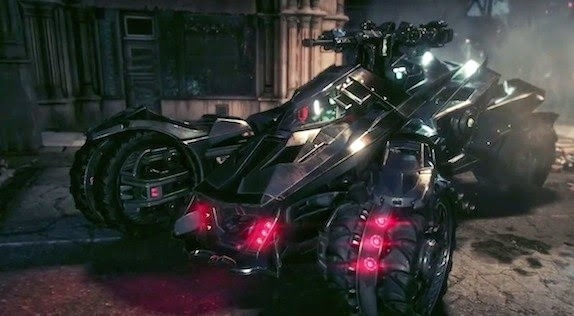 I dare say it resembles the Batmobile from the new Batman Arkham Knight game. So, first off, lets roll out a "Top Down" view of the new Batmobile. What we are seeing is the top entry style seen from the Tumbler design, but the cockpit lifts and splits for access. The design has a sports car style body, but a military grade design to it giving it that "stealthy" look. You can also see clearly that the rear tires are covered with armor, and the front tires have a front "bumper armor" to them. In this image above, we can clearly see the "lift and split" of the cockpit. We can also see that the cockpit actually looks roomy, and what appears to be accommodations for two seats? The armor on the tires is much more visible in this image. Also, we see a front mounted gun. Again, still has that Tumbler look, but more "sporty" feel. Here we have a straight on front view of the new Batmobile. Again, we see a front mounted gun turret right there, and a great view of the overall sleek, and aerodynamic appearance of this variation on the Batmobile. 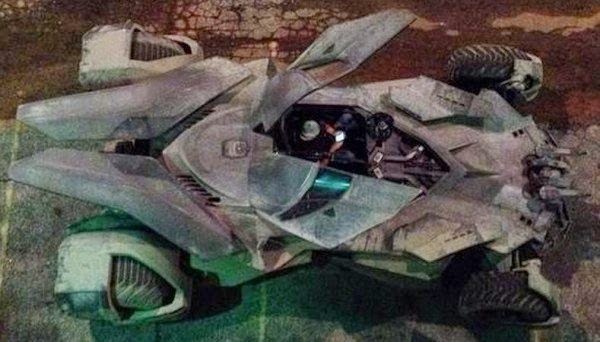 It still has that military grade appearance to it that we got with the Tumbler, and less of the "sports car" look from older Batman films and TV shows.